I recently came across an obituary. Rhoda Mann Winkler died. She was 87. You may not think you know her but if you are “of a certain age.” You know her moves. Ms Winkler was a puppeteer on The Howdy Doody Show. Just reading those magic words, The Howdy Doody Show summoned a parade of characters. Howdy Doody, of course but also Princess Summer Fall Winter Spring, Flub-a-dub, Mr Bluster, Don Jose Bluster. These characters who visited homes late on weekday afternoons via tiny screens (television screens, not smart phone screens!) were all puppets. There were also two humans, well kind of – if you count clowns as humans. Clarabell liked to squirt people with a seltzer bottle and communicated only by means of a loud bicycle horn, the kind where you squeezed a rubber ball on the end. The mere sight of Clarabell on our 10″ black and white screen usually sent the 3 or 4-year old me fleeing into my bedroom. He is probably why, to this day, clowns make me nervous. The other human was Buffalo Bob Smith who dressed in a fringed buckskin suit which, as I now picture it, was part cowboy and part safari suit. He tried valiantly to keep rein over all these characters. Allow me to interrupt myself for a second – if my mentioning the 10″ screen and the fact that I was 3 or 4, didn’t tell you this was long, long ago, ponder this. 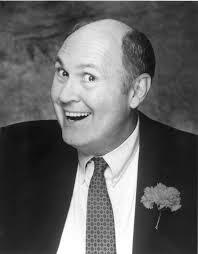 Clarabell was played by Willard Scott, who now entertains people even older than me by wishing them a Happy Smucker’s 100th birthday on The Today Show. 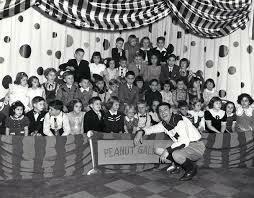 Despite the dangerous prospect of Clarabell, my deepest desire, at the time, was to view the show live and in person, seated in The Peanut Gallery; “peanut gallery”, being the name given to the studio audience composed entirely of children who appeared to be about my age. Alas, the closest I ever got was second-hand. I once lived, for a short time (not short enough! ), with a young man who had actually been a member of the The Peanut Gallery, but it didn’t end well (our relationship or his adventure!). His mother was so late coming into the studio to pick him up after the show that he was the only child left, and he started to cry. And guess what!? He got to sit on Buffalo Bob’s lap until she finally got there. As for the lap, it was a far more innocent time than the present. It took me a long time to get there, but I finally got to sit in a modern day Peanut Gallery. There were no clowns – only comediennes – well, three, anyway. The fourth was a former George W Bush aide. 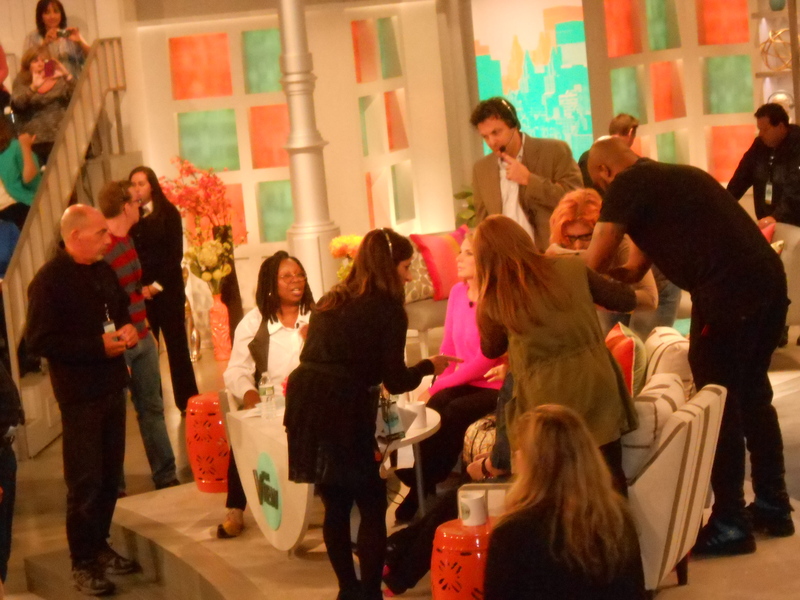 Yes, it was the daytime show, The View. A friend secured tickets and invited me. Well, it started off bad and got worse. 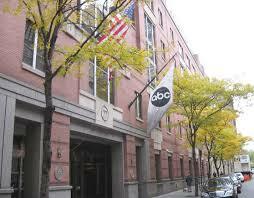 We had to line up two hours before the show – on the sidewalk outside ABC studios ……. …..in the rain. We were lucky on two counts: we’d come prepared with umbrellas, and it was a warm September morning. Since everyone else came prepared with umbrellas, it was a colorful mass of jostling, bumping, and dripping but at least everyone had to keep their distance from the person in front of them. 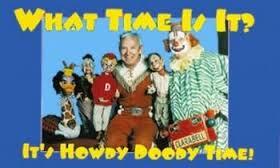 Finally we were herded inside by ABC personnel so young that I imagine even their parents were too young to remember Howdy Doody. Dressed in black with ABC badges clipped to their lapels, these millennials barked at us to walk fast, stay in line, and remain in single file. In short, they treated us like we were kindergarteners headed for The Peanut Gallery, and speaking of kindergarten, when we arrived in the next holding area we were given snacks of apple juice and popcorn!But the worst was yet to come. Finally seated, we were “warmed up” by a comedian who after a reasonably good job of getting our laughter pumped and primed, proceeded to put us through a drill of responses. We were to keep our eyes on the stage manager. When he raised his right hand and waved, we were to utter AHHH , when he waved his left hand over his head we were to laugh. And when he clapped his hands over his head, we were to break out in wild applause. Not content to merely tell us, we had to practice it again…….and again………and again. 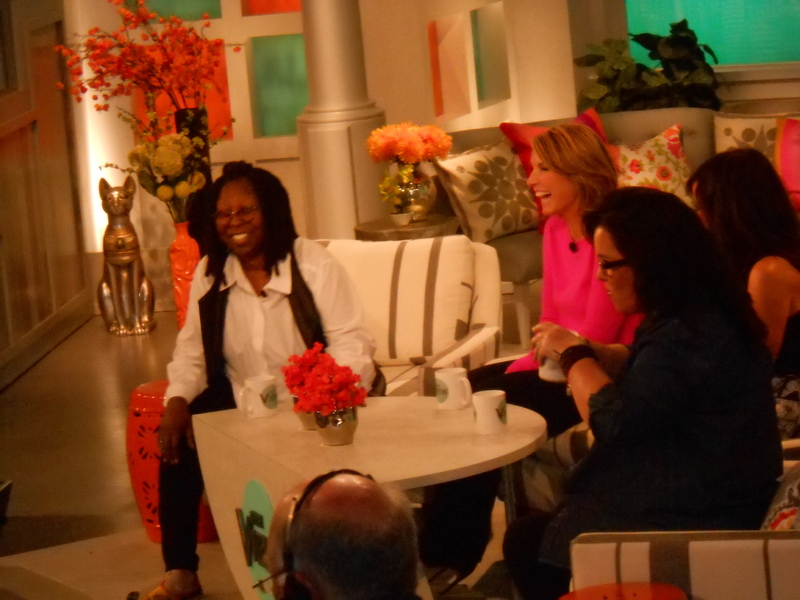 Suddenly Whoopi, Big Rosie O’Donnell, Little Rosie Perez, and The Republican proceeded to their seats. But the best part was there were no horn-honking seltzer-squirting clowns. The bad part is I can never view an ebullient “live” audience anymore without wondering which arm the stage manager is raising. But you know what? I wouldn’t mind dancing with Ellen!